Irritant smoke fit testing simulates real working conditions. At no time are test subjects required to hold their breath after vigorous exercise, a potentially stressful condition that could be detrimental to the test subject’s health. Also, there are no test hoods; and test subjects are allowed to breathe normally through the entire test. The VeriFit Irritant Smoke Generator’s plastic construction is a safer alternative than traditional irritant smoke test kits. Traditional kits use glass tubes that must be broken to elicit smoke. The broken glass can become hazardous to handle and discard. To use a VeriFit Irritant Smoke Generator, simply bend the plastic tube to break the enclosed ampoule. Because the ampoule is inside the tube, there is no danger of exposure to broken glass. As a result, the VeriFit Irritant Smoke Generator is safer to operate and discard. 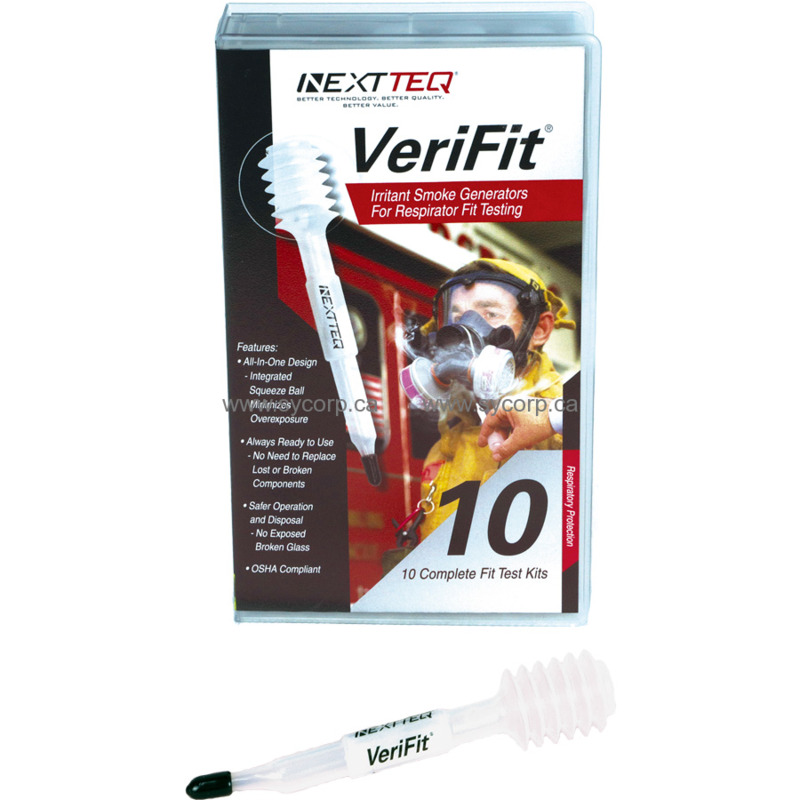 The VeriFit Irritant Smoke Generator’s patented all-in-one design saves you prep and clean-up time. There are no parts to warm up, calibrate, clean, or sterilize. The VeriFit Irritant Smoke Generator is always ready to use. All aspects of a traditional irritant smoke fit test kit are incorporated into one handy device. The bellows and ampoule are conveniently integrated into a sleek smoke generator. Unlike traditional smoke test kits, there are no additional components to attach, lose, or replace. bellows size. The VeriFit Irritant Smoke Generator is a safer option than traditional irritant smoke test kits that can have less precise smoke measurements or greater smoke production.